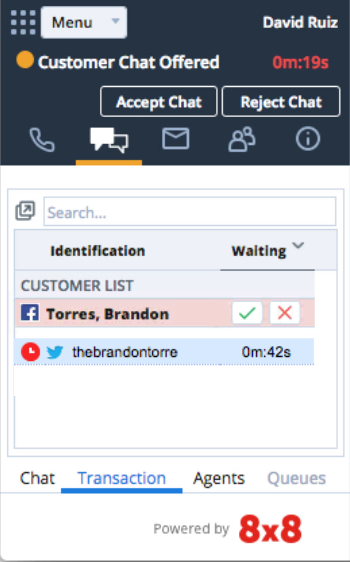 Agent Functions | 8x8, Inc.
A Phone Queue delivers incoming phone calls to Available agents assigned to that queue. Most contact centres have more than one phone queue. The longest waiting call, or highest priority interaction in a queue is delivered to the next Available agent. At the same time, Virtual Contact Centre’s local CRM will search for existing records in the database, based on the caller’s phone number. If the customer is in the system or if a case exists, the CRM will display that customer’s information. Agents assigned to this queue can make outbound calls to external numbers or contacts. Outbound Phone Codes may be required to set Caller ID options, or to track the purpose of an outbound call. You can call another agent by entering their full phone number in the Phone tab, or by selecting the menu option in the Agent Status tab. Use call control functions to manage live calls. 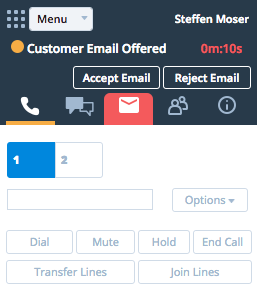 You can click Join Lines to merge two active phone calls into a 3-way conference. Transfer a call, either with a warm introduction, or complete a blind transfer without speaking to the receiving party. You can also transfer calls back to a Queue, or to an outside line. 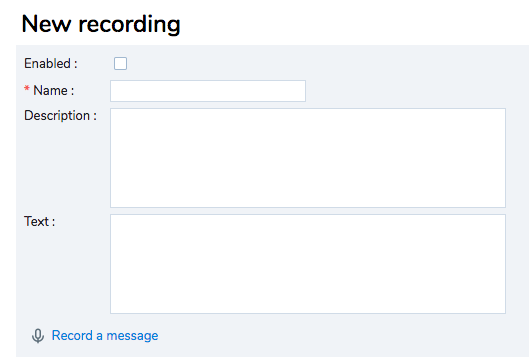 You can pre-record messages to play during inbound or outbound calls, for example, if you reach a customer’s voicemail. If you have Direct Agent access, you can record a personal voicemail greeting for your extension. 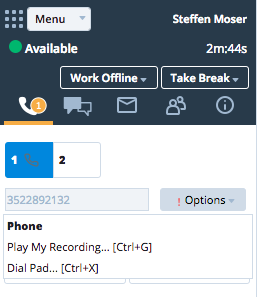 To play pre-recorded messages, select Options from the drop-down menu during a live call. Agents can receive and respond to customer inquiries through the Email Queue. 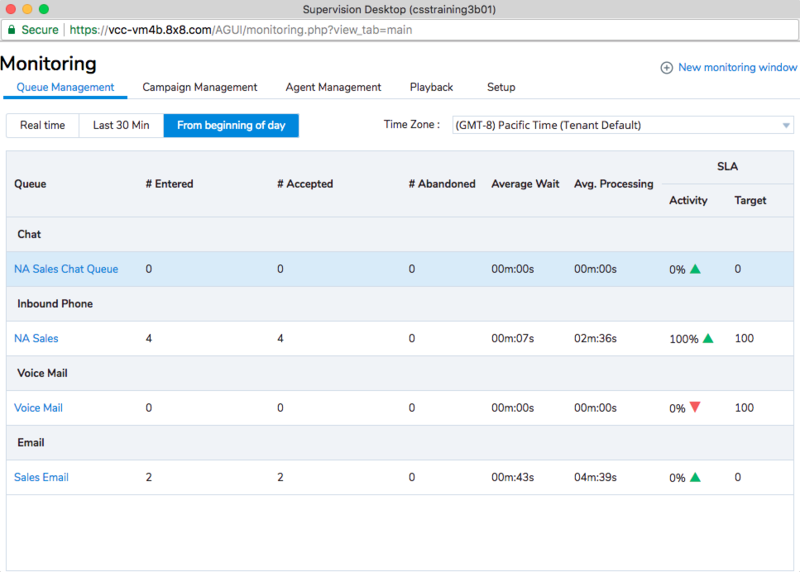 When Agent Console offers you a new email interaction, the local CRM presents the email in the CRM panel. 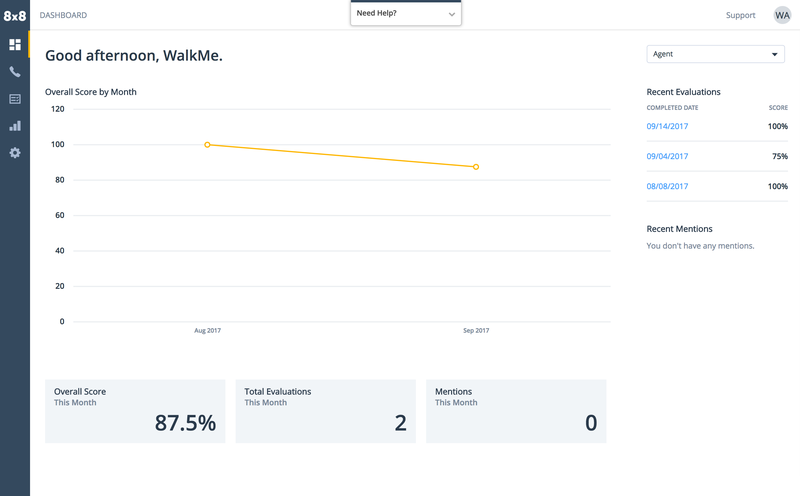 The Chat Queue allows you to accept inbound chat interactions, handle multiple simultaneous chats, insert FAQs into your interactions, and communicate quickly with fellow agents. Agents who are assigned to the chat queue and are available will be offered chat interactions. Administrators can configure agents to be able to receive multiple chats at one time. Customers can choose to chat from any of the support languages. Agents can handle chats in the languages supported or use an automatic translator. The Social Media allows you to receive messages from Facebook and Twitter. This allows you to receive direct messages from your social media platforms right into your contact center application. Once the agent is connected with the customer, you will be able to see previous conversations in the chat window. Virtual Contact Centre’s local CRM provides customer and case management capabilities to companies that are not using a third-party CRM. When a transaction comes in, Virtual Contact Centre searches the database to find matching customer information. Some companies require agents to enter a Status Code when your availability changes. You must be On Break or Working Offline before you can log out of Virtual Contact Centre. Quality Management is an easy way for supervisors to provide you with feedback and coaching on your performance. If your Contact Centre has this enabled, your supervisor has the ability to review and provide detailed feedback on voice and screen recordings of calls. To review your evaluations, log in to 8x8 SSO with your credentials. Once in the 8x8 Application Panel, select the Quality Management button. Select the Dashboard Tab if not already in that page. 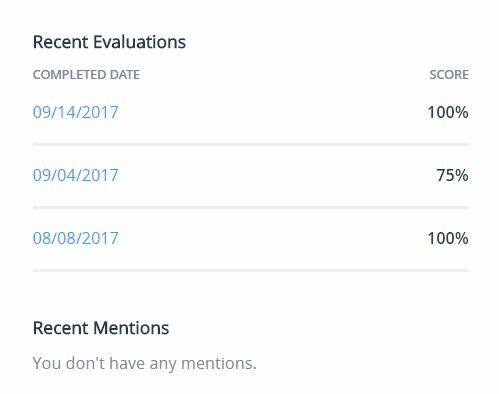 On the right side of the screen under the Recent Evaluations section, select an evaluation date to view the report.